One of England's newest universities is offering tailor-made degrees in the management of selling beds. 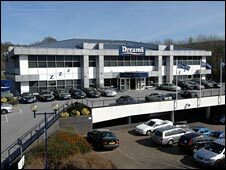 Buckinghamshire New University in High Wycombe is offering a retail management foundation degree developed in partnership with bed company Dreams. This is the kind of collaboration between industry and higher education the government wants to encourage. Most of the sector's expansion is through such two-year courses mixing academic and work-based learning. Like the much-publicised "McDonald's A-level", the Dreams degree incorporates the existing company training package. But Buckinghamshire New University vice-chancellor Ruth Farwell said: "Whilst we recognise the impetus behind the decision to allow companies such as McDonald's to award their own qualifications, we believe that it is better for employers to partner with universities in initiatives such as this one." Dr Farwell added: "We pride ourselves on our work-based foundation degrees that are designed in conjunction with employers, and enable students to gain qualifications whilst they are working and on the basis of their work experience. "Offering Dreams' managers this opportunity is a natural extension of our work, especially since Dreams' head office is in our home town. "It fits perfectly with the government's drive for greater participation in higher education and the need to enhance the skills base of the nation." Dreams founder Mike Clare said many of his staff had attended the university. "The university's pragmatic approach and understanding of the challenges we face has enabled us to launch a development programme which will enable staff to continue their education whilst also focusing on their careers," he said. The first course begins in mid-April, with 12 Dreams managers specially selected to be fast-tracked through the foundation degree in one year. Two years will be the norm for subsequent students. On Monday, Higher Education Minister Bill Rammell is launching a consultation, Higher Education at Work - High Skills: High Value, on how best "to build stronger and more flexible links" between business and universities. The Department for Innovation, Universities and Skills said the independent Leitch review of the nation's skills requirements in 2006 had argued there was a need for a significant increase in the proportion of workers with degree level skills. Currently 30%, the review said the aim should be more than 40% by 2020. A spokesman said that 70% of what will be the 2020 workforce had already left school. So new types of higher education needed to be provided, including more flexible courses designed and co-funded by employers. However, a report from the Higher Education Policy Institute think tank has said the potential market for such degrees is untested. It says expanding them at a reduced rate of state funding risks repeating the underfunded growth of the 1990s.